The eyes of cephalopods (squids, such as octopuses, cuttle fishes) are often compared to those of vertebrates because both types contain a thin, transparent cornea, and a lens that focuses fight on the retina and the lens is suspended by, and controlled by, ciliary muscles. 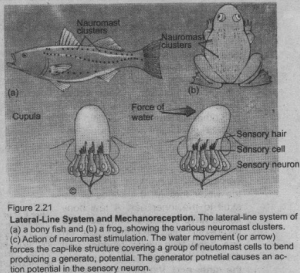 However, eyes of squids and vertebrates differ in the following respects: Fig. 2.19d. The receptor sites on the retina face in the direction of light entering the eye in squids, while in vertebrate eyes, the retinal layer is inverted; the receptors are the deepest layer in the retina. In fishes and cephalopods, light is focused by muscles that move the lens towards or away from the retina, and by altering the shape of the eyeball; while in terrestrial vertebrates, muscles that alter the shape (thickness) of the lens focus light. Write a detailed account on Lateral-line system. OR Write short notes on (i) ampullary organs or electroreceptors and (ii) neuromasts or mechanoreception. Ans. 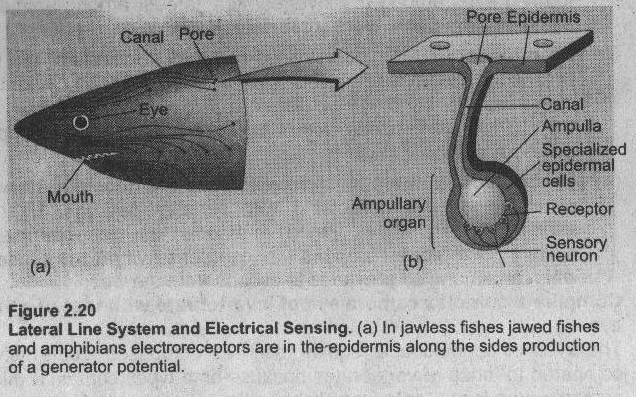 The lateral line system consists of specialized system in jawless fishes, jawed fishes, and amphibians for the detection of electric current (electroreceptors in the form of sense organs called ampullary organs), and for touch, sound, and muscular contraction (mechanoreception in the form of receptors called neuromasts). 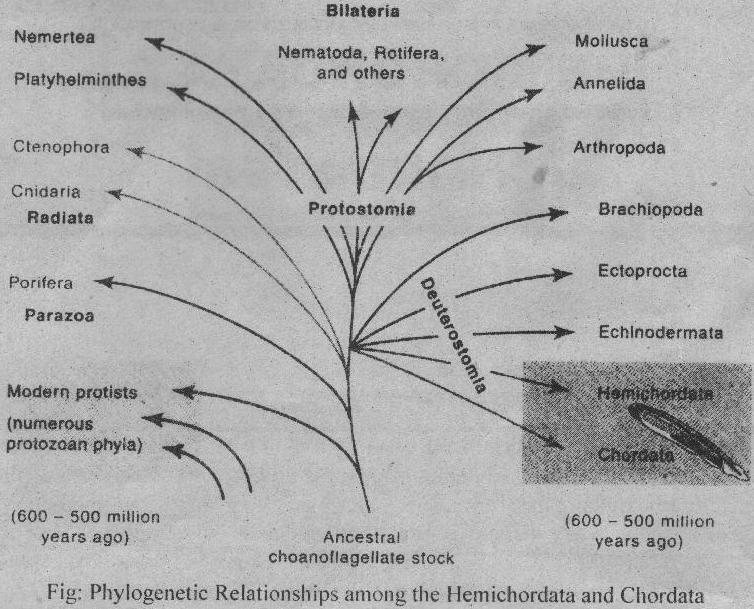 These receptors are in the epidermis along the sides of the head and body. These receptors are in contact with the outside through pores on the outside. 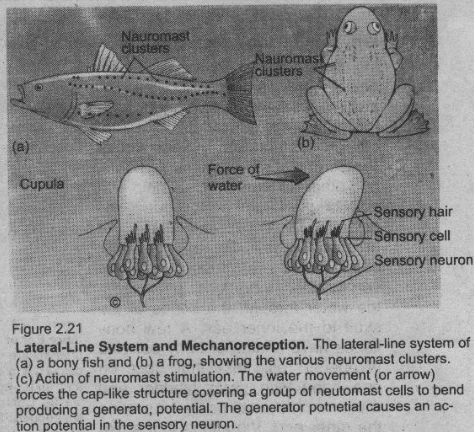 Scientists believe that specialized organs for equilibrium and gravity detection, audition, and magnetoreception have evolved from the lateral line system of fishes. Home » Zoology » Compare a complex camera eye of invertebrate with that of a vertebrate eye.